Major-league baseball ran into trouble in the beginning of the 2014 season with something that was called the “transfer rule.” The story offers some important lessons for philosophers and technologists at the same time. In anticipating the future and predicting the way in which technology will shape our markets, there is one critical gut check that needs to be made. An assessment of the human interface needs to be featured prominently on the evaluation checklist. The story really begins in the 2010 baseball season when a pitcher named Armando Gallaraga from the Detroit Tigers came within one out of a perfect game. As the videotape would later show, he pitched a perfect game against Cleveland on that June night in Detroit. There were no hits and no one was allowed to get to first base through the first 26 Cleveland outs. But in the top of the ninth inning, an umpire at first base named Jim Joyce, as he later admitted, blew a call and declared that the runner was safe when in fact he had been thrown out by a throw from first baseman Miguel Cabrera to the pitcher, Gallaraga, as he covered first. In a day of technology in which key moments in football games often turn on critical replay decisions, this seemed to be the last straw. There needed to be a replay camera in American baseball as well or so the thinking went. It took the powers who run baseball another couple of years. But things had been set in motion. As of this winter a replay rule was created for baseball. Until this point, the judgment of the umpire has been final and even legendary in deciding the fate of baseball games for 150 years. Perhaps there should’ve been a warning here about what was going to happen. But the replay rule was passed nonetheless and the 2014 season began with replay cameras. What happens now is that when the play takes place and a team feels that it has been wronged, the manager is allowed to go out and question the call. The umpires consider the protest and they may ask for a replay decision to be made by someone in a control room in New York. In practice, the replay rule has led to some annoyingly long delays as sometimes the decision takes three or four minutes of waiting. At least in football, the camera trains it’s picture on the replay official who is looking at the replay camera and agonizing over how to make the call. Baseball’s anonymous remote judge in New York seems particularly arbitrary. But this wasn’t the end of it. There was also a need, major-league baseball believed, to clarify a few fine points of the game so that it would be possible to make clear-cut decisions. The entry of a third-party, the anonymous replay official, seemed to force a greater need for precision, or so it was thought. And so, the transfer rule was modified. This is when a player catches the ball and transfers it from his glove to his throwing hand in order to make a play. To make it clear, the officials believed, the transfer rule should require a player to catch the ball and to make a clean transfer. If the ball was dropped, then the initial play was ruled an error and not an out. What this led to were some amazing plays where a player might catch a ball run three strides seem to make a transfer and then drop the ball only to be told that not only was his team to suffer the consequences of the dropped ball but the initial play was no longer an out either. Needless to say, the precision of clarifying the transfer rule created a whole new set of problems. After two or three weeks the officials have given up on transfer rule purity and gone back to the old way. The game reverted the old method of relying on judgment calls, at least for transfers. There is still a replay camera but it no longer dominates the way it did when the game was trying for perfect clarity. Somehow when someone truly great is playing, the speed, precision and finesse are all combined. I think this compromise is more in the spirit of baseball and perhaps the replays will go as well. During this controversy, I have been reminded many times of an experience that I had in the late 90s when I was invited to go to St. Louis to make a speech to a postal audience and to join the Chief Operating Officer of the USPS who was going to dedicate a stamp at Busch Stadium where the St. Louis Cardinals played baseball. At the Postal Service it became known that I was a huge baseball fan. In fact, I had been a lapsed baseball fan until friends introduced me to the Baltimore Orioles in Cal Ripken’s day and I found something that I had lost as a kid growing up. Baseball was a great common denominator for the USPS. There were many times that people said to me “oh yeah I remember you, you’re the Orioles guy”. Someone thought of me and did me the favor of inviting me go to St. Louis to the dedication. We gathered in the St. Louis Cardinals locker room before the ceremony when we would go out onto the field. I stood around with several others who were going to go onto the field and we talked baseball. One man in particular was an especially nice guy, a gentle retired Cardinal who eventually was introduced to me as Ozzie Smith. I realized that I was talking to one of the five greatest shortstops of all time[i]. What do you say to Ozzie Smith? I realized that we were going to get a huge big round of applause when we went out to the field and it was going to have nothing to do with any of the postal guys or even other celebrities who were with us. Instead it was going to be for this modest man. I asked Ozzie whether there was anything that I should’ve known about making a double play or something equally lame. He modestly demurred and didn’t embarrass me by making fun of my dumb question but instead told me something about it being in the flow. I later read the famous statement of Honus Wagner (another great Shortstop) that’s on the wall of the baseball Hall of Fame that “it don’t take much to be a ballplayer, if you are a ballplayer”. 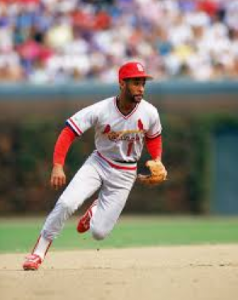 Ozzie Smith was such a ballplayer and the memory of his manner seemed an appropriate conclusion to considering baseball’s attempt at precision with the transfer rule. Ozzie probably wouldn’t have needed to have the transfer rule clarified or to have umpires make “proximity calls” giving him the benefit of the doubt. He was that good. But his finesse was also not something, I think, that could easily be judged by the replay official in a remote studio in New York. There are moments when humans and events interact in a manner that cannot be made more precise with technology and it’s an important factor to consider in judging the trajectory of future events. There will be cases where forecasts aren’t as useful as just being in the flow. [i] Cal Ripken of course, Ozzie Smith, Derek Jeter, Ernie Banks and Honus Wagner would be my five nominees.